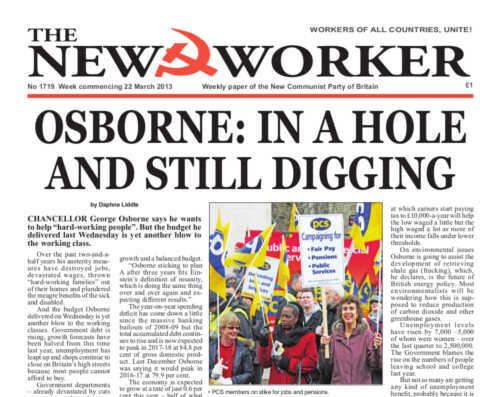 CHANCELLOR George Osborne says he wants to help “hard-working people”. But the budget he delivered last Wednesday is yet another blow to the working class. Over the past two-and-a-half years his austerity measures have destroyed jobs, devastated wages, thrown “hard-working families” out of their homes and plundered the meagre benefits of the sick and disabled.